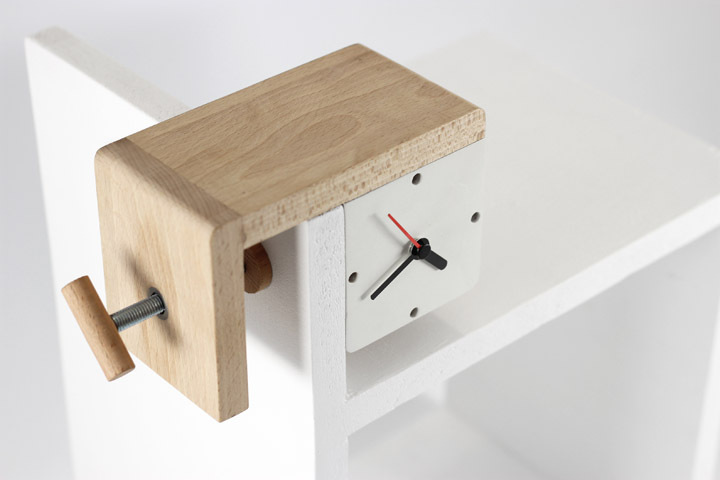 Another clock in the collection; it is a combination of ideas of two previous designs. 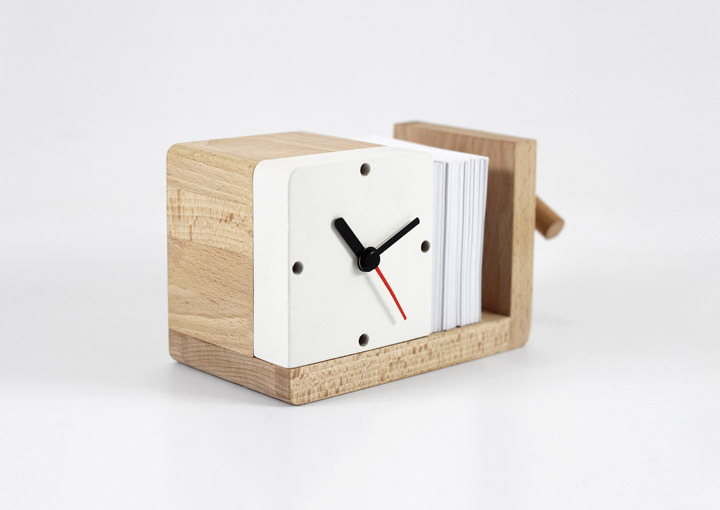 The design combines the material and warm appearance of beech wood with the function of a desk organizer, firmly holding sticky notes. 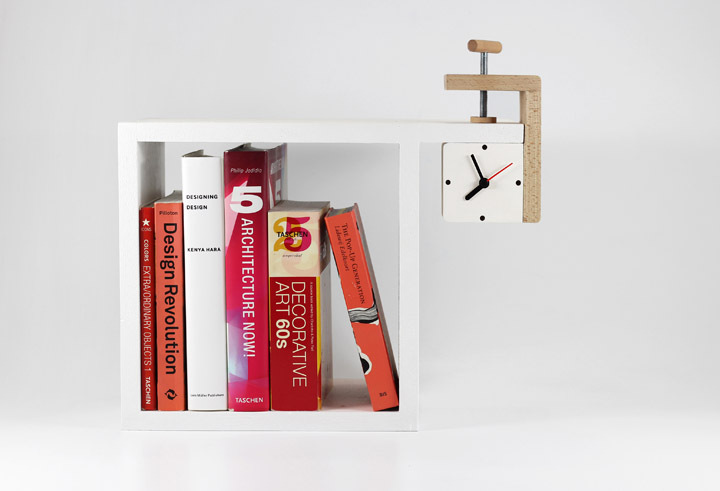 It can also be fixed to shelves and other similar surfaces.